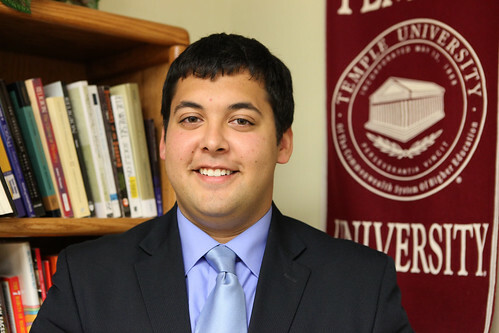 KATE McCANN TTN David Lopez, president of Temple College Democrats, said his group will debate with TUCR this semester. College democrats and republicans are planning to host a debate in March. As national GOP primary debates take place, Temple College Democrats and Temple University College Republicans are in the process of planning a debate between the two organizations for this semester. Students leading in the effort to hold the debate are still in the process of figuring out how to administer the debate in an appropriate manner. The representatives themselves said they are unsure of the details. “We are still in the process of figuring out the logistics of the debate. We won’t have the details until mid-February,” David Lopez, president of TCD and executive chief of staff of Temple Student Government, said. In a follow-up email, Lopez said the groups are awaiting approval to hold the debate on March 27, at 6 p.m.
TCD and TUCR members also said that the subjects to be debated on are yet to be decided. “We really don’t have any details about the debate yet, except it is tentatively going to happen,” Erik Jacobs, president of TUCR, said in an email. Jacobs said he would not comment further until more details were confirmed. Lopez added that the debate has not been held in a few years and the content of the debate is likely to focus on important issues on both a national and local level. The debate will likely be geared toward topics pertaining to colleges students. “We plan on targeting all kinds of students to get involved in the debate, both politically interested and nonpolitically inspired,” Lopez said. Rowdy Rathore can be reached at rowdy.rathore@temple.edu.